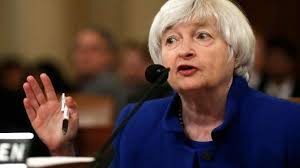 “We cannot tolerate pervasive and persistent misconduct at any bank and the consumers harmed by Wells Fargo expect that robust and comprehensive reforms will be put in place to make certain that the abuses do not occur again,” said outgoing Fed Chair Janet Yellen. The Fed’s action means Wells Fargo will reduce its board by four directors this year. “The enforcement action we are taking today will ensure that Wells Fargo will not expand until it is able to do so safely and with the protections needed to manage all of its risks and protect its customers,” she said. Unfortunately, Wells Fargo’s behavior doesn’t match the image it wants to project. Wells Fargo’s TV commercials are memorable — very poignant and created with great production values. But the reality of Wells Fargo appears to be different from the image it projects as a once-venerable financial institution. Firstly, let’s review a typical Well Fargo commercial. Wells Fargo’s TV commercials are memorable — very poignant and created with great production values. For that era in the 1950s, Wells Fargo’s sponsored TV program was memorable for good reason. Unfortunately, Wells Fargo’s TV show and its more-recent commercials appear to contrast with its widely publicized corporate behavior. Firstly, Wells Fargo has ostensibly been violating an agreement not to infringe upon the rights of a competing bank and Minnesota Vikings, according to countless published reports in Dec. 2015. U.S. Bank is paying millions for the right to be called U.S. Bank Stadium where the Vikings play and where other events are held. The Vikings point out Wells Fargo signed a contract in 2014 not to install mounted, illuminated signs on its two nearby office towers. Not only does the issue call into question Wells Fargo’s ethics, it’s causing a multi-million-dollar bank-branding battle over U.S. Bank Stadium. The stadium and nearby buildings will show up on millions of TV screens during NFL games. Wells Fargo’s strategy appears to violate its agreement with the Vikings and it diminishes the value of the U.S Bank investment. Wells Fargo reached a $110-million settlement with its customers over its fake accounts scandal according to published reports on March 28, 2017. You might also recall the bank was involved in that historic $25 billion national settlement in 2012 with the federal government. Wells Fargo and the nation’s four other largest bank mortgage servicers – Bank of America, JPMorgan Chase, Citibank and Ally Bank, formerly GMAC – in the robo-signing scandal in house foreclosures. But the nation’s biggest home lender continued to deny culpability in that massive legal case. The shining halo over Wells Fargo has dimmed as the result of its behavior. Wells Fargo is a negative case study for banks and businesses in all sectors. Considering the bank’s stellar reputation and expertise, its apparent lack of sensitivity was rather perplexing during the Great Recession. First, it was an appalling sense of corporate entitlement and disregard of investor angst over Wells Fargo’s reluctance to be transparent. Then, came the Los Angeles Times report that one of the bank’s senior vice presidents partied lavishly at a beachfront home the bank took back from a borrower in swank Malibu, Calif.
On Sept. 3, 2009, The Wall Street Journal reported the bank’s shares were on a roller coaster ride because of a lack of transparency with investors. The report said Wells Fargo’s 2009 share price was down 11 percent while others in the financial sector were up – shares at Bank of America and J.P. Morgan rose 17 percent and 31 percent, respectively. The published report asserted Wells Fargo – unlike other large banks – would not disclose its earnings in a quarterly conference call. Nor would the bank publicize its tangible book value per share (TBVPS). Basically, TBVPS is what common shareholders will get if the bank should go into bankruptcy. That is considered a fair question for investors to pose in the wake of the recent financial disasters. Nor would Wells Fargo disclose the status of the distressed loans from its purchase of Wachovia. On Friday, Sept. 12, 2009, the Los Angeles Times reported Cheronda Guyton – who the bank’s senior vice president in charge of foreclosed commercial properties – staged extravagant parties at a beachfront Malibu house owned by the bank. At one party, the report indicated the guests arrived on a yacht. The report lit another fuse: The explosive issue stemming from the unrestrained behavior by financial firms that received those massive government bailouts. In February 2010, after collecting $25 billion from taxpayers in TARP bailout money, it came to light that Wells Fargo scheduled an over-the-top employee recognition event in Las Vegas – complete with all the lavish trimmings – lodging and all expenses paid for multiple nights at expensive hotels. Only after negative publicity did Wells Fargo cancel the junket. Plus, in August, the bank announced its four top executives would receive mega increases in pay. CEO John Stumpf’s paycheck skyrocketed from $900,000 to more than $5 million. The Malibu partying ignited another firestorm: A bank employee was throwing lavish parties in a home surrendered by the owners while millions of Americans faced foreclosure and their mortgage problems destroyed their credit ratings. Ostensibly, Malibu residents blew the whistle. Their former neighbors were the owners who lost their home because their finances were devastated by the Bernard Madoff massive Ponzi scheme. It was also revealed that after Wells Fargo retook the elegant home, it did not list it for sale and refused to show it to prospective buyers. That is an unfortunate precedent from the perspective of shareholders and customers. It is also a public relations eyesore that published reports indicate Wells Fargo has been too slow – one of the slowest banks – in modifying the troubled mortgages in President Obama’s $75 billion foreclosure prevention plan. In addition to the foreclosure dilemma, first, the bank needs to be sensitive to what is taking place in America, and behave accordingly. American workers waited years before companies were able to raise wages and many couldn’t get work. After the Trump Administration’s first year, a government report indicates wages grew 2.9 percent. The unemployment rated dropped to 4.1 percent and the labor participation rate grew to 62.7 percent. But in another economic sign, Wal-Mart and other retailers have kept their layaway programs to attract cash-strapped consumers for the holiday-shopping season. Next, Wells Fargo needs to be sensitive to shareholders and customers. The bank should develop a culture where it demonstrates a concern and sensitivity about mortgagees. The management’s attitude of corporate entitlement in their appearances and excesses should cease and desist. Stop planning junkets to Las Vegas. The bank needs to understand the let-it-begin-with-me concept. If they want a higher share price, they need to communicate with investors as though they care about transparency, as if to reassure investors that Wells Fargo is a good investment. If they want to attract the best customers, they need to demonstrate customer empathy and a caring attitude about deposits and loans. Certainly, Wells Fargo is not the only firm with senior executives demonstrating an entitlement mentality and behavior. But the bank has an opportunity to wipe the slate clean and reclaim its stellar reputation. Just as the bank undoubtedly penalizes late borrowers, senior management should start demonstrating their awareness that dubious behavior has consequences. Short of these steps, once-proud Wells Fargo will continue to hear from the government and will someday suffer the same fate as other defunct banks. Then, we’ll all be sorry. Banks Have Credibility Issue with Affluent Women, Study — More than half of wealthy women are frustrated with their banks, according to a study. Marketing: Why One Bank Fails, Another Succeeds — One of the nation’s 2009 bank failures costing the FDIC $298 million was the result of economic conditions, to be sure. But Venture Bank’s collapse was exacerbated by poor management decisions typified by branding. Why Bank Woes Provide Lessons for All Companies Seeking Growth — Many banks have customer loyalty issues. In fact, banks need new approaches because they are only satisfying 21 percent of their medium-sized business customers, according to new marketing research by TNS. Actually, the challenges faced by banks in trying to grow include principles that are applicable to all business sectors that want opportunities for growth. Want a Wealthy Clientele? Lessons from Investment Firms — If you want a wealthy clientele, lessons from investment firms show you must focus on your relationship skills. Trust is a vital component to build relationships.